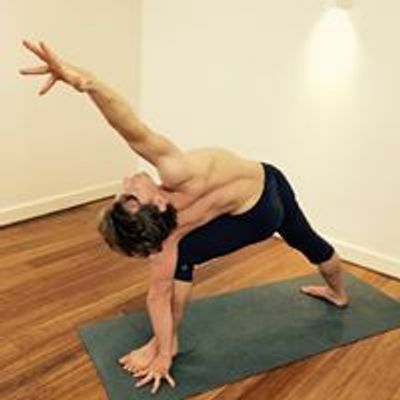 Join Chris for a deep, insightful and fun exploration of the Ashtanga Vinyasa Yoga Primary Series. Over 4 intensive days we will unravel the philosophy, deeper internal methodology and key postural themes of what Sri K. Pattabhi Jois called 'Patanjali's Yoga'. Over the course of the immersion we will explore, dissect and carefully reassemble the physical, physiological and emotional components of practice, exposing the deep internal methodology and subtle therapeutic workings of the Primary Series. Morning classes will be a led pose-by-pose exploration with detailed technical instruction, allowing time to master safe technique and explore key dynamic alignment principles. Our focus will be on unfolding the Primary Series in such a way that insightful physical, mental and energetic patterns will emerge from within the structure of our existing movement practice. We will explore the underlying anatomical themes of Primary Series and find the most intelligent way to work towards the more challenging aspects of the series. Afternoon classes will begin with a short period of sitting and continue with a talk on yoga philosophy to provide solid context to the practice technique. There may also be time for group discussion, partner work and study of a yoga text. To end the afternoon we will then take a specific aspect of Primary Series and explore it in an open workshop environment. 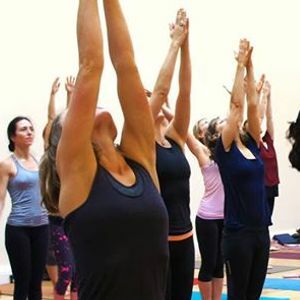 This immersion is open to all Ashtanga Yoga practitioners, both beginners with some prior knowledge of the practice and more experienced students and teachers. It is not necessary for you to be practicing full primary series to benefit from the intensive. All that is required is an open mind, a sense of humour and willingness to have your paradigms challenged! "Chris, thank you so much. The course was amazing. I have done loads of workshops and courses over the years. Yours is one of the best I have done. You are such a good teacher, massively intellectual and very funny. Your delivery on yoga philosophy was just brilliant, you made it really interesting. Thank you so much for sharing your wonderful practice and incredible teaching. I hope to see you again, I am definitely up for more"
"The workshop was great. From the selection of contents - which were exactly as described - to the delivery in a fun, easy to follow, engaging, genuine, professional and structured way. It was perfectly balanced between theory and practice and suitable for every level and personality. I would definitely be a regular at the Ashtanga Workshop if I lived closer and will be back for more workshops as soon as I get the chance"
"Thank you for an amazing 4 days on the Primary Series Immersion. I have learned so much that I can bring to my practice and hopefully even my teaching. I booked unto this course because I recognised I had retreated so much into my comfort zone that I was hopelessly stuck. Your teaching really challenged my beliefs about myself and my body. I found this course physically demanding but it was exactly what I needed. Thanks again for such an inspirational and transformative course"
"This workshop helped me to understand the postures in a different light. It was particularly eye opening to understand the balance between the prana and apana postures as I had never been taught that certain postures required us to go on the "dark" side of things. 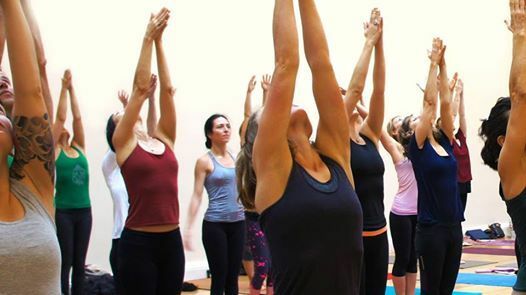 The workshop gradually steped up in intensity during the 4 days so we could be eased in the more difficult part of the practice, but we were not pushed to 'perform' in any postures, which is really refreshing!"